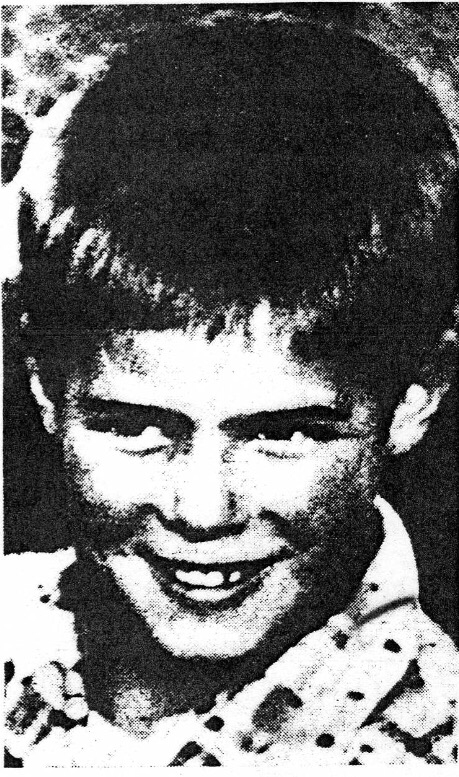 It is no secret that my brother Kevin died a horrendous death at the hands of my father, in December 1965 (https://timalderman.com/2012/04/23/kevin-pickhills-the-unspoken-name/). It is a long time ago now, though the memories have never dimmed, and despite the sage advice that time heals all wounds, it may dull the starkness of the memory, but it never really disappears. The filing cabinet we call a brain shifts the files around, but always leaves the drawer slightly ajar. I am not obsessed by my hrothers death, but whenever it does a flit across my mind, the questions surrounding it flit along just behind. The frustration of severed relationships is the unanswered questions! With my father long dead, my mother out of the picture at the time, and my fathers sisters all now dead, I know the questions will never be answered – ever! But that knowledge doesn’t make them go away! So, here are my demons. My reasons for listing them is purely to dump them! To many, the questions will be unfathomable without the back story. For a few, the poignancy of them will hit a feeling of deja vu in their own lives. There are many sad stories out there, and they nearly all have their unanswered questions. Some questions are simple and straight forward – almost ruminations in their own right. Others are complex. Because questions demand answers, the fact that answers will not be forthcoming almost negates them. But they live on, and I will go to my grave knowing that only at that point do they no longer exist. Where in the hell did Nancy Thompson come from! How did my father find her, and what possessed him to think that bringing such a hard, unfeeling woman into the house would be a good thing! I mean…she smoked, and he hated smoking! What were the conditions of her employment? She certainly had more disposable income than my mother ever had! I went clothes shopping with her, so I know! Was he seeing her before bringing her home? Was she a fling? It certainly went from plutonic to sexual very quickly – even as a 12yo I knew that! Her, and her son Stephen were such hateful, spiteful people, and I can’t believe he wasn’t aware of that. When questioned in court at the hearings into Kevin’s death, she stated that I was an effeminate child! Was that opinion voiced to my father? And after he finally got her out of the home unit in Kogarah – whatever happened to her? I pray that no other family was subjected to her! For someone who blew into our lives for such a short period of time, chaos followed in her wake! She is as much responsible for Kevin’s death as my father, yet I have little doubt that she left with a clear conscience! I hope Kharma has delivered justice! What were my fathers thought processes on the day of Kevin’s death? It had been such an ordinary evening up until the instant he pulled up in front of our house! Was it a spontaneous action, or was it pre-meditated? At any stage, had the same course been set out for me? Frightening…but the thought remains! What was going on in his head as he drove to The Gap? Surely you can’t take your own sons life blithely, with no thought to the implications, the trauma, the horror! It’s a long drive from Sylvania. At no time did he not want to turn back! It’s not a question – it’s a nightmare! And the most harrowing thought of all – did Kevin suffer! How quickly did he die in the cold waters of Watson’s Bay. Was he knocked out or killed on impact – I truly hope so! He trusted my father – was he aware of the betrayal? What flashes of thought as he eent over that cliff! The sheer horror wrenches at the heart! Was my father guilty about his own survival? The actual event – threw Kevin over, or jumped over with him – has never been ascertained! It is one of the great unanswered questions. Did he invent a story to cover-up the deed? Indeed, we’ll never know! After being released from gaol – what a joke all that was, and no justice for Kevin – did he seriously think…in typical 60s fashion…that life would just go on like nothing had happened? Did not talking about it mean it never happened? Was the thinking that the events of that time had had no affect on me whatsoever? Kevin was swept under the rug like a pile of dust! It was like he never existed! On the day he arrived home, Nancy took me to the front gate and told me to run to mert and embrace him! I didn’t even want to know of his existence! The only thing crossing my mind was – why was he back here! And did I still have to call him dad! His touch was abhorrent! For all the years up until his suicide there was no love, or respect! And I think Kevin’s death was his demon up until the day he died! And then the great questions about Kevin and myself as siblings. What would our relationship have been like as we got oldrr? Would he have been straight or gay? If he was straight, would he have married…surely, one would think! Would he have had children? Would I be a great uncle? Would we have shared confidences? Would we be close – as when we were children – or distant? And what is perhaps the first and greatest question – how totally different would life have been if mum never left home, for this was the catalyst for all that was to come! I like my life, and I like that for much of it I have had the freedom to live it my own way, with no questions, and few fears. Would it have panned out the same if circumstances had been different! That is a very interesting question. That I would end up gay wss inevitable…but would the process be different? I actually don’t want an answer to that one! It is said, probably with great wisdom, that one should never question what is, try to imagine the “what ifs” of life, as that is not how it has gone. It is what it is! We all know that, but as thinking, reasoning beings it is inevitable that what could be seen as sage advice is not going to be heeded. We are curious animals, and life’s great unknowns frustrate and intrigue us! Any relationship that is abruptly terminated is always going to leave questions in its wake. The worst of it is knowing that even if my father were still alive, the questions would, in large part, still be unanswered! Perhaps that is what destiny held in store. At least now, they have been voiced!